Claire was awarded the Kirk Mangus Award on March 27. Claire Schmucker ’20 and George School ceramic teacher, Amedeo Salmoni, each took home a prize from The National Council on Education for the Ceramic Arts by the National K-12 Clay Exhibition Foundation on March 27. Claire was awarded the Kirk Mangus Award. Kirk was an internationally renowned ceramic artist and sculptor. The award celebrates his contribution through his teaching, lecturing, and mentoring. The show was juried by his widow, Eva Kwong. Claire was the only student to have two pieces in the competition, both of which were fired in George School’s wood-fired kiln. Amedeo received the Teacher Award honoring Daniel Rhodes. This award is based on the contribution to the advancement of ceramics, partially through the written word. 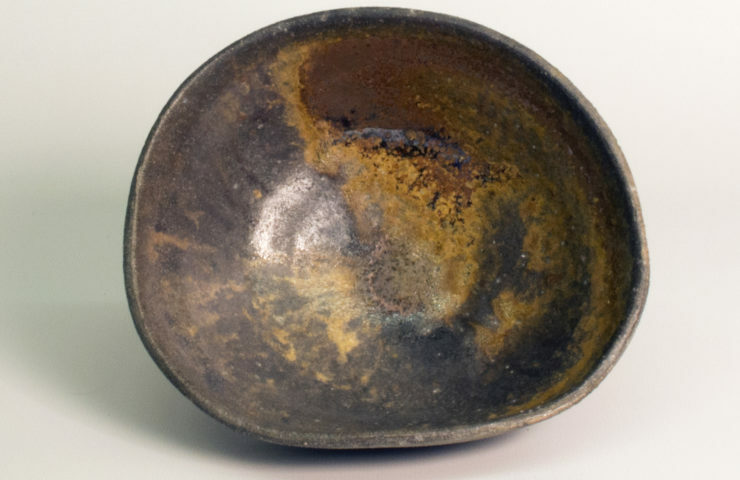 Daniel Rhodes was a professor at Alfred University and has written many books about ceramic art, including Clay and Glazes for the Potter Kilns, and Pottery Form. All books still highly regarded today. This award was awarded to Amedeo based on his book, Wood-fired Ceramics: 100 Contemporary Artists. To be considered for this award the teacher must have student work accepted into the K-12 Ceramics Exhibition, so without Claire’s contributions, Amedeo would not have been considered. “Amedeo’s enthusiasm for his art and teaching makes him an inspiring and beloved colleague,” said Danielle Picard-Sheehan, department head. Art lovers can check out the work of George School students in the upcoming AP Art Show in Walton Center Gallery and the Class of 1956 Gallery in Mollie Dodd Anderson Library from Monday, April 15 through Thursday, April 26.